I used to plan my travelling carefully and well ahead because I liked to be in control of as many parts of as many things as possible. I needed to know where I would sleep at night in an unknown place whether it was a bustling city or a well-hidden river land. A friend of mine once told me something like this: You are a small-looking girl, an easy target. Look where you are going when it’s dark. I never forget the advice. So I like to make sure that I am on the safe side of my travel. I also liked to know the must-see attractions in a certain historic town or a France-influenced but British-owned island. The old I would map out the walk from the station or my hostel to such attractions. I could only rest assured if I knew how many left turns to take. The truth is that I got lost (many times) regardless. No matter how carefully I planned, unexpected twist of fate seemed to find me around some dull-looking street corner. Once I took a 10 days trip on my own from North to South of the UK, from the mainland to an island then back to the mainland. I was on buses, flights, trains, and ferries. All transportation was booked in advance. All tickets and hostel reservations were printed and numbered in date order. Maps were also printed with highlighted routes. I had a smartphone then, but I liked the traditional way. Battery might go flat, but ink stays for a long time. Regardless of my well-thought-through plan and half a forest that I’ve destroyed with all the printed paper, I stumbled. Somehow I managed to book the right bus back on a wrong date. The uptight driver didn’t let me on the only bus that would take me back before nightfall. I had to spend my last pennies to pay for a different train and took a longer route through a beautiful city called Bath. It was only one extra night, but it got me realise the beauty of go-with-the-flow. I always wanted to see Bath but hadn’t got around to go, till that day. 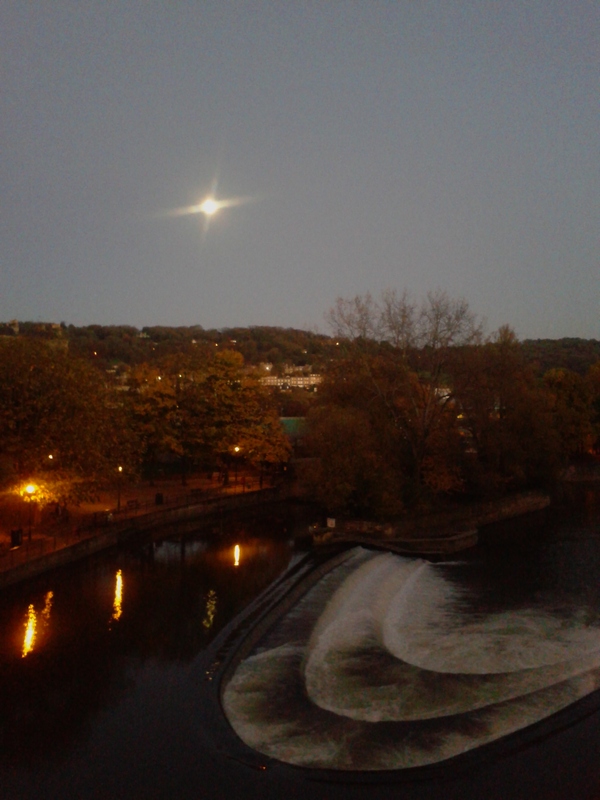 So there was I watching the city of Bath turning in for the evening and its reflection on the river under the magical moon light. It was a full moon night. I caught myself thinking of the one man who had left the previous moon. Two months later, I bought a one-way ticket to a faraway foreign land to start the travel of my life with him. For once, I had no plan. I didn’t even have an onward journey ticket, consequently almost failed to get myself on that first flight. I did make it there after two more flights and 24 hours of very little sleep. The important thing was that he made it there as well. Sometimes when you walk with your eyes close and your heart wide open, you can find the best gift of life. Undoubtedly, there are bumps on the road. But it’s often on bumpy roads the most interesting stories of your life start. I know I have one written in the Penang island. I am going on our next adventure in a few days. Instead of taking the map out, I am writing this to remind me of being spontaneous and enjoy surprising gifts that life brings. This entry was posted in Travel Journals and tagged Planning, travelling. Bookmark the permalink.